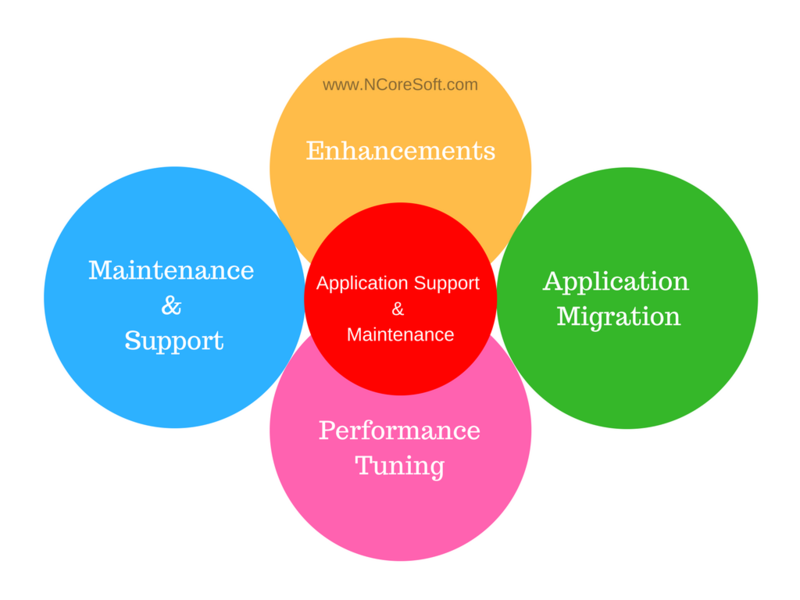 NCoreSoft believes that the Application which not only built aesthetically but needs maintenance periodically turns out to be winner in the long run. Every Software needs periodic maintenance in the long run. Decreasing users decrease the importance of app. There has to be an Usability check and Bug fixing from time to time. Bug Fixing, Bug tracking & Bug Reporting in Mantis. Fine Tuning, Scalability and Performance enhancements of the software application. Software Version Updation with new feature suggestions. Re-Designing of application for better UI/UX. Application migration using latest technologies. We have provided software application upgrade to industry verticals like Banking, Finance, Real Estate, Fashion, Casinos, Hotel booking, Retail, Publishing, Telecommunication, Healthcare, SAAS etc.